What gorgeous ringlets, such an adorable photo. I can't tell if that's an oops face or a full mouth face! Such gorgeous blond ringlets - wait till the teenager years when you'll be crying lol! Haha, Cute! Thats a Look that says "what on earth is Daddy doing now"?? 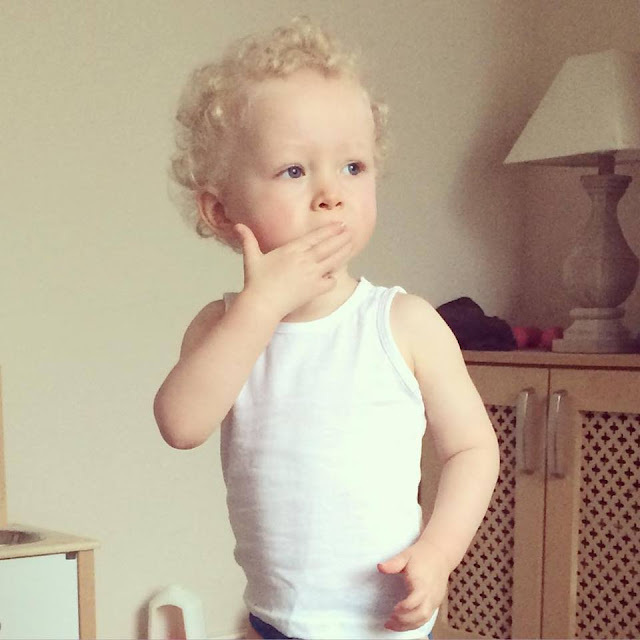 Noah looks like he is about to blow a kiss :- Maybe to Mummy.